Health, hygiene, commerce … use our activity to help students understand how people use freshwater. 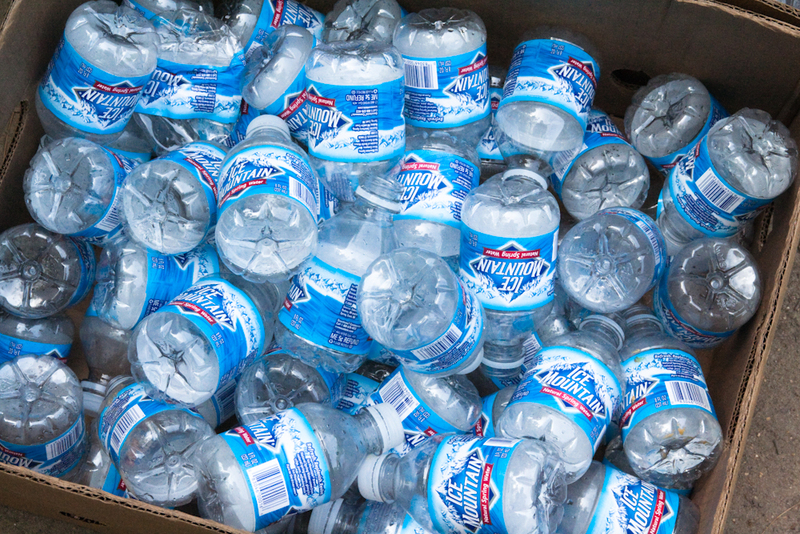 Nestlé is increasing its withdrawal from an aquifer in the Great Lakes Basin to meet demand for its Ice Mountain water. Where is Nestlé seeking to withdraw so much freshwater? Read through our short resource on aquifers for some help. Production Well 101 (PW-101) is located in Osceola County, western Michigan. PW 101 withdraws water from a sand and gravel aquifer that is part of the Great Lakes Basin. (Learn more about “Our Freshwater Sea” with this resource!) The depth to groundwater at well PW-101 is about 11.5 meters (38 feet) below the surface, and the aquifer extends about 45.7 meters (150 feet) deeper. PW-101 is an unconfined aquifer, meaning it is covered by permeable rock and can be “recharged” by precipitation. Why is Nestlé seeking to extract 400 gallons of water per minute from PW-101? Well, Nestlé is already withdrawing 250 gallons per minute from the well. It uses the water to supply its Ice Mountain line of bottled water. The increased extraction plan is part of a $36 million expansion of the bottling facility. Nestlé’s petition to extract more water drew a record number of public comments, and the results were startlingly lopsided: 81,862 against and 75 in favor. Why were so many people critical of Nestlé’s plan? Many environmental critics consider Michigan’s water supply (lakes, rivers, and aquifers) as a natural resource that needs to be protected. They point to the fact that Nestlé’s original proposal was rejected on the grounds of “adverse impacts to nearby streams and fish.” In 2001, conservationists even sued Nestlé “over the potential damage to lakes, rivers and streams that its bottled water plant’s groundwater withdrawals could cause.” The lawsuit resulted in Nestlé reducing its original plan from 400 gallons per minute to 218 gallons per minute. commercial product. The minority voices supporting the Nestlé plan say that the company’s well brings jobs and tax revenue to Michigan. In addition, the well does not supply water to public facilities (it belongs entirely to Nestlé), so Nestlé is not depleting a public source of freshwater. human right. Despite its position bordering four of the five Great Lakes (earning it the nickname the “Great Lakes State”), Michigan is beset by major issues concerning public access to safe freshwater. Thousands of opponents to the Nestlé plan compared the ease with which the corporate giant could extract water for profit with the difficulties faced by everyday citizens in obtaining clean water for health and hygiene. For example, in the state’s the most famous, shameful, and ongoing incident, residents of the city of Flint have not had access to clean water since 2014. Through business and government oversight, lead and other heavy metals contaminated the city’s water supply, directly contributing to 15 deaths and as many as 12,000 cases of lead exposure. If 81,862 people publicly opposed the Nestlé plan, why did the Michigan Department of Environmental Quality (MDEQ) approve it? The agency says this was their only option. Nestlé applied for the expanded extraction rights in 2016, as part of an administrative permit. To be approved, the MDEQ says all Nestlé had to do was complete a monitoring plan and submit it. The plan was completed and submitted. Almost all of the public comments (about corporate greed and access to freshwater) did not address how Nestlé plans to monitor the impact of the extraction, or the bureaucracy of the paperwork submitted. The MDEQ says it did not consider anything else. Previous Previous post: Womyn’s/ Womxn’s/ Women’s Herstory Month!